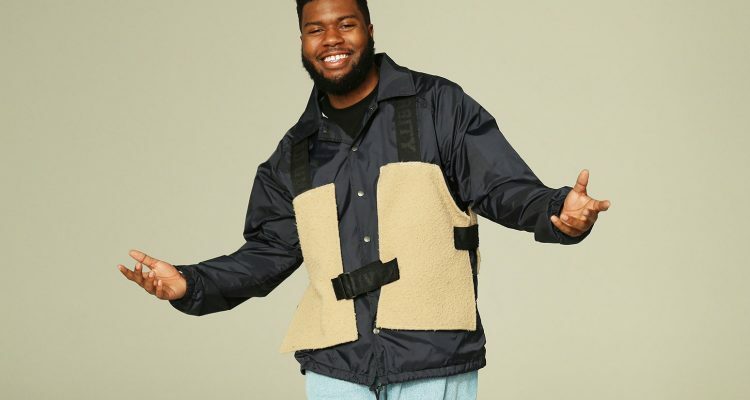 Yesterday, Khalid unveiled his a single, “Talk,” as Zane Lowe’s World Record on Apple Music’s Beats 1 along with EDM duo Disclosure who provided the production. This song is possibly the first of multiple titles leading up to the “Location” singer’s upcoming full-length project. “Talk” was created with a classic, early 2000’s R&B vibe driven by Disclosure’s instrumentation that provides the perfect canvas on which Khalid paints his words, singing “I’ve never felt like this before/I apologize if I’m movin’ too far/Can’t we just talk? Can’t we just talk?/Figure out where we’re goin” trying to understand what he and his lover are getting into. Embed from Getty Images“This album is the culmination of all of the growth and experiences I have gathered over the past two remarkable years,” the Grammy-nominated singer said in a statement about his forthcoming LP. “I have been in the studio pouring my soul and spirit to create a body of work that I hope speaks to each and every one of you and I am excited to share ‘Talk,’ the first taste of that today.” Listen to the RCA Records-released single below.